Have you ever turned a corner to be face to face unexpectedly with someone you find so amazingly attractive that it makes your stomach go soft and your legs feel weak? Of course you have, we see people everyday we find physically attractive, but we learn to block it out. Until, without any notice, without any sort of moderation, right there before you, there is someone who turns your insides into pea soup and now you’ve completely forgotten your own name. Going to the Rocky Mountain Audiofest is like that, but worse. For three days you are completely surrounded, inundated to the point your pores start to hurt, with some of the best sounding audio systems in the world. So when the big one hits, when you walk into a room where the sound is so compelling you have trouble making it into a chair, it really hits with the force of a sledge hammer. You know why? Because you could actually buy, you could actually own, that system. You start plotting plans to save up, thinking about making payments, starting the search for the Devil to strike a deal with him for just one more credit card, so that you can come home to ‘that’ every night. So I won’t hold back. Let me start my write-up with what I found to be the most captivating sounding room at RMAF 2010: Room 557, the Audio Federation exhibit. 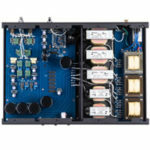 Audio Federation, Marten, Audio Note UK, EMM Labs, Nordost, Harmonic Resolution Systems. The refined clarity, separation of sounds, almost never-ending depth of detail and utter maturity of the system has me 100% converted and sold. The emotional engagement was just as good as the reel-to-reel tapes in the deHavilland room, but the ‘everything else’ that was missing was found in Room 557. Thank you Audio Federation for allowing me to hear the upmost of a dying media. I take it all back. CDs can sound good if you really do have the system for it. Maturity means you can respect that some people prefer coffee with cream, while others want it black. Neither one is the better way to have it. As long as you are completely satisfied with your experience, that is all that matters. It strikes me as a rather self defeating act the extent that some go through to bad mouth others in this industry. All the while the industry as a whole continues to burn away in the bright light of the ‘television’ the way a vampire erodes to dust in the day light. All of these systems are someone’s unexpected knockout. 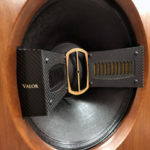 I implore that you, if you didn’t come to RMAF 2010 or the 2010 California Audio Show and you are reading this, start planning now to attend either one or both in 2011. It seems to me a few more attendees couldn’t hurt considering it is such a great event. In no particular order of interest or favorite here are some of the other rooms I visited. Audio Limits in the Primrose conference room was engaging and worth more time than I had for it. My only remaining ding would be the sound was larger than reality, which is a complaint I often level against some of the larger systems when they are playing a simple guitar that sounds King-Kong big. FM Acoustics, Venture Loudspeakers, Weiss Engineering, Sound Application, HRS. 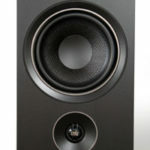 The hardwood Daedalus speakers in room 8004 had a great smooth and resounding quality to them. These tree trunk speakers were paired with First Sound tube amplifier and Cardas wiring. I dropped in near the last hour at the show, and let me tell you, I was really burned out on simple acoustic guitar and suicide-booth level of entertaining female jazz vocals. So when I was asked if there was anything I’d like to listen to I went right to the CD collection. I know there is a damned-if-you-do, damned-if-you-don’t approach to the music that gets played at RMAF, so when you go in 2011, bring your own music and play it proudly. Somehow, these horn speakers from Classic Audio Reproduction remind me of a moon-landing space capsule. 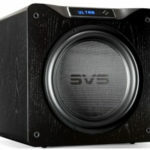 Seeing such massive speaker driven by such tinny tube amps was also a kick. They sounded good, but the cheeky music drove me out pretty quickly. Classic Audio Loudspeakers, Atma-Sphere Music System, Tri-Planar. When I walked into GR Research room 2024, I was persuaded by the DAC manufacturer while waiting in line for some coffee, I thought to myself, finally a room with some flare. I’d ask how many piece of flare they were required to wear but I already knew the speakers had it all the flare anyways (Movie reference if you aren’t getting it). I was really impressed with the drums coming from the direction of the speakers. Cymbals crashed and toms rolled and snares snapped away. I wish I could have spent more time in this room and listened to some harder rock. These guys actually played some Tool, I believe. Definitely taking the Zu Audio approach, bring some fun back into hi-fi. GR Research, Dodd Audio, db Audio Labs, PI Audio, Electra Cable. And then there was the Wilson speakers room 2030. What can I say, they are impressive. If not a little louder in the treble than might be natural, which is fine, I tend to like that. Wilson was in a couple rooms. 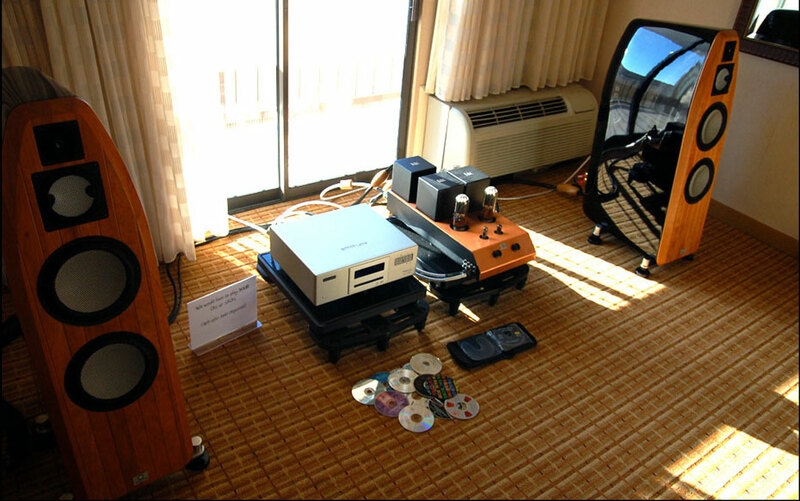 I heard the Sophia III paired with Rega’s Osiris flagship integrated amplifier and Isis flagship CDP in room 9017. I really liked the clean sound and the realistic micro dynamics. The guitar, though too large a sound, did very much come close to really being in the room. And yeah, acoustic guitar again… shoot me.